The race is on. From now until January 2019, it is appetizer season all around. Whether neighbours come over for a nibble and a glass of wine, or you decide to have a full out open house, this is the season for entertaining. Don’t panic. There are great products in the supermarket to simplify a host’s life. With a few simple recipes of your own, all is well. Keep it simple. The holiday season is there to be enjoyed not endured! • Good fruitcake and shortbread (preferably homemade) is a great complement to cheese. My last recipe, Canadian War Cake, is amazing with cheddar! • At least one good dip such as aioli or hummus with assortment of tasty veggies for those who want low calorie and fresh. • Red and white wine, and water. People are careful with drinking and driving – water is appreciated. • Cider! It is wonderful to be greeted with hot mulled cider or mulled wine on a cold night. You can never go wrong with a batch of melt-in-the-mouth cheese shortbread. Made like a refrigerator cookie, this dough may be kept in the refrigerator or the freezer so it’s ready to slice off and bake at moment’s notice. It may be cut with a cookie cutter into a Christmas shape and frozen for up to 3 months or refrigerated up to 2 days. They are irresistible served piping hot with a glass of mulled wine. Place flour, cheese, butter and cayenne in the bowl of a food processor. Pulse until mixture combines into a ball. Dip ball into bowl of flour to coat outside lightly. Roll cheese pastry between pieces of waxed paper or parchment paper rolling away from you to ¼ inch thickness. Cookie Cutter Method: Using a cookie cutter (for the holiday season, I use a star but whatever you like) cut out and put cheese cookies on parchment lined baking sheet; cover with foil and freeze or refrigerate until ready to bake. May be kept frozen for up to three months. If dough gets too soft to handle, refrigerate until it firms up the roll again. 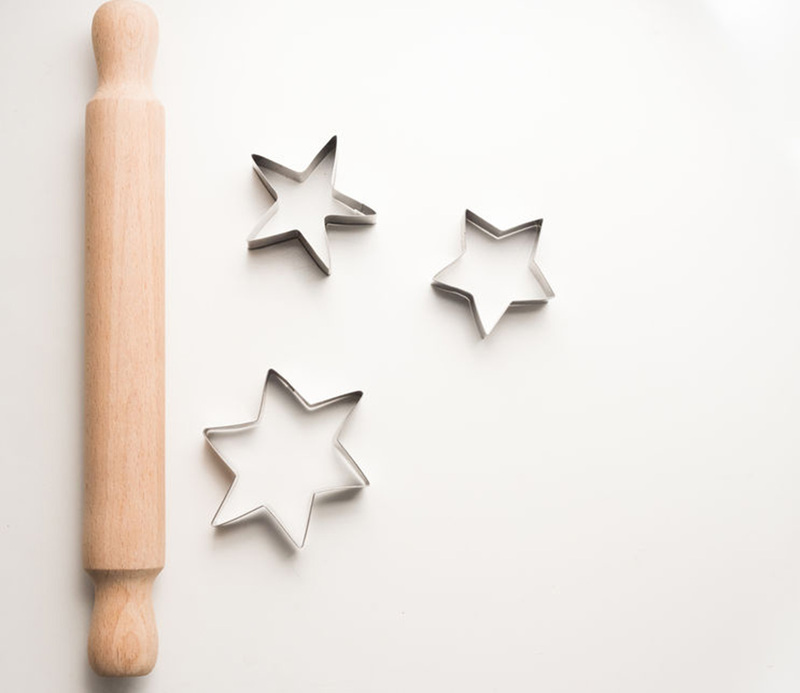 Refrigerator Cookie Method: Alternatively, dough may be shaped into a two-inch (10 cm) diameter log and refrigerated or frozen until ready to be baked. Slice in ¼ inch discs and arrange cheese cookies on parchment lined baking sheet leaving ½ inch (1.2 cm) between each cookie. Baking instructions for either method: Preheat oven to 350F (180C). Bake cheese shortbread 8 – 10 minutes or until golden brown. Cooking time varies depending on oven and colour of baking sheet. Cool shortbread slightly before removing to a serving platter. Serve while still warm with napkins and wine.